An investigation into alleged child abuse led police to file charges against a local municipal police officer on Tuesday, Sept. 4, who allegedly knew of his friend’s relationship with a teen girl but did not report it. Joshua Diddick, 29, Montrose, was charged by Tpr. Girard Dempsey with corruption of minors, stalking, furnishing alcohol to minors and failure to report as a mandated reporter. The charges were filed in Clifford District Court. Diddick was arraigned on Tuesday and released on $15,000 unsecured bail. A preliminary hearing was scheduled for Tuesday, Sept. 11. Diddick has been employed as a police officer in multiple jurisdictions in the county, including Hop Bottom where he was the Chief of Police. Diddick resigned from his position as the Hop Bottom police chief just prior to his arrest. According to Montrose Borough officials, Diddick also resigned from the Montrose Police Department following borough council’s August meeting, noting his last day with the department would be Aug. 16. His resignation was accepted by council at the Monday, Sept. 10, meeting. According to police, Diddick knew of an intimate relationship between an adult male and 16-year-old female. He is also accused of furnishing alcohol to that 16-year-old victim, along with another 16-year-old female. Diddick is also accused of contacting a 17-year-old female through a social media platform on repeated occasions, and reportedly offered her alcohol. All three victims told police Diddick instructed them not to tell anyone about the alcohol because of his position as a police officer and that he could get into trouble. According to the affidavit filed in Clifford District Court, state police received a report of suspected child abuse on July 17. A Children’s Advocacy Center interview occurred on July 20 with the first 16-year-old victim. She reported that she had been provided alcohol and had been involved in a sexual relationship with Theodore Mills III, 25, of Edgewater, Fla., and that Diddick knew of the relationship. Further interviews with the three teen girls revealed that Diddick, accompanied by Mills, picked up two of the teens and offered them both a beer. 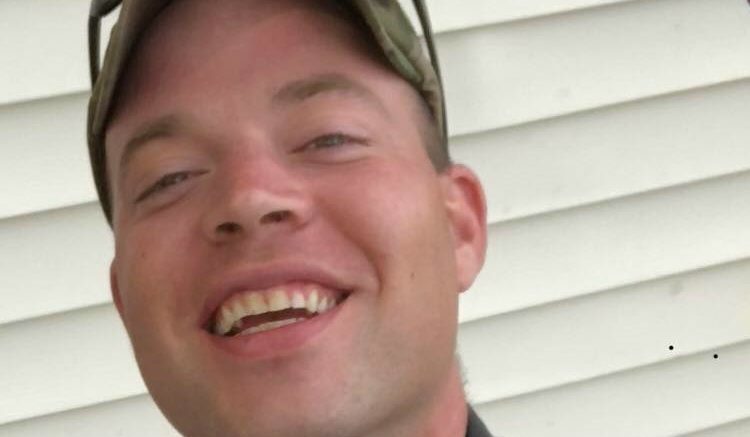 One told investigators that Diddick appeared to be intoxicated while driving and continued to drink, at one point saying to them, “Just because I’m a cop doesn’t mean I can’t have fun,” according to the affidavit. Diddick is accused of contacting the 17-year-old on the social media platform Snapchat after she had told him not to contact her anymore. She told investigators she then received a message on Facebook from Diddick asking her if she had deleted him from the other social media platform. A few days later, according to the affidavit, he invited her to a bonfire but she refused the invitation. The three victims also told police that Diddick had offered them alcohol on multiple occasions, including one time at Penn Can Raceway and another at a house party hosted by Mills. Troopers Dempsey and John Decker interviewed Diddick on Aug. 23 and asked him about the relationship between Mills and the teen girl. At first, Diddick told investigators the relationship was like a father and daughter, but then admitted Mills had informed him by message that the teen had been making accusations against him and that he could be in trouble. Diddick told police that Mills and the teen would hug and kiss but he didn’t believe the relationship was sexual in nature. He later told police he believed it was inappropriate for a 25-year-old Mills to hug, kiss and drink with a 16 year old, and that he told Mills he should stop. Diddick contacted police on Aug. 24, admitting he had not been completely honest with them during the interview and admitted to picking up two of the victims and observing Mills and the one girl kissing in the back seat. Diddick also admitted that he had kissed the 17-year-old victim and touched her on the buttocks on one occasion. Charges were filed against Mills on Wednesday, Sept. 5. He faces a felony count of corruption of minors and a misdemeanor count of furnishing alcohol to minors. Mills was released on $15,000 unsecured bail. A preliminary hearing was scheduled for Oct. 2 in front of Magisterial District Judge Suzanne Brainard. Be the first to comment on "Cop facing corruption charges"